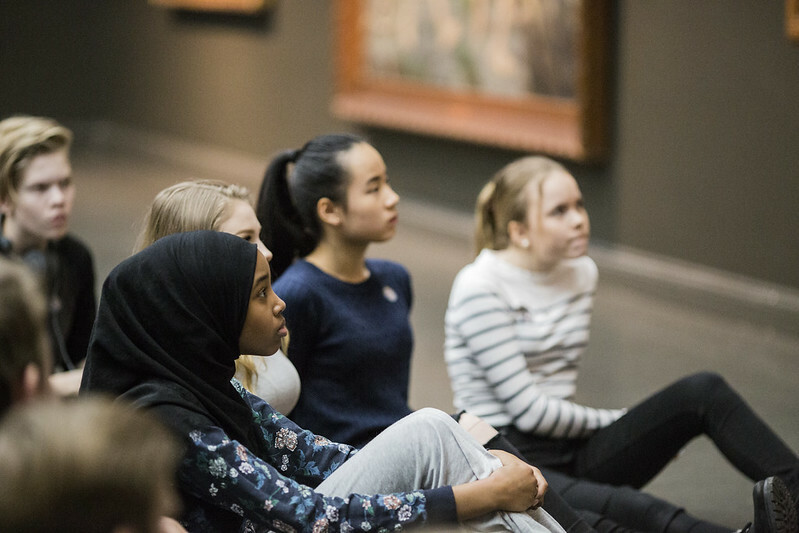 The Culture Leap project aimed to increase the amount of Cultural Education Plans in Finland, a public programme for schools which ensures that all children and young people get the chance to experience their cultural heritage. The elaborate project produced an online tool that enables municipalities to independently prepare a Cultural Education Plan based on their local and regional heritage. The tool is freely available to all, and it exists in three languages (Finnish, Swedish and English). “This project offers a relatively low-cost but high impact framework that is applicable across Europe for educational planning which has cultural values at its heart”, the jury affirmed. Culture Leap was developed with the cooperation of the Association of Cultural Heritage Education in Finland and the Association of Finnish Children’s Cultural Centres. The main partners were the Association of Finnish Local and Regional Authorities, the Finnish National Board of Education and the Arts Promotion Centre Finland. The project was funded by the Ministry of Education and Culture. In addition, the Arts Promotion Centre supported the organisation of a workshop tour. Before the project, just 43 of the 311 municipalities in Finland had cultural education plans in place. As of 2017, and as a result of this project, there were 90 plans established in municipalities around Finland with a further 50 plans in preparation. Workshops have been organised in 15 locations, reaching 83 municipalities and an audience of 450 people. Further workshops are now being organised with the Finnish Network of Children’s Cultural Centres in areas that do not yet have a Cultural Education Plan. The jury highlighted the fact that: “The project outlines an inclusive and flexible approach to educational planning through an innovative use of digital technology, which is relevant at local, national and European levels. It proves how digital technology can help to accelerate or maximise the results and impact in wider communities”. Culture Leap has ensured that cultural education is inclusive of all children, regardless of their background, and that it is more effectively distributed to municipalities and regions where cultural experiences for children and young people are, at times, lacking. The plans ensure cooperation between schools and cultural institutions in the surrounding area and give participants a chance to familiarise themselves with the culture and cultural heritage of their hometown or region while encouraging an understanding of the diversity of local culture. “Culture Leap has stressed the importance of including education related to the arts, culture and heritage in the regular curriculum, in turn underlining its important role in creating responsible citizenship and instilling value in innovation and creativity”, the jury stated.